As the oldest of four children, my daughter, in one sense, does not have to face isolation. We can take her out. She has three brothers creating noise around her and even, sometimes, conversation. Organised activities bring her into contact with her peer group. But they’re all structured around skill development and take place in structured learning settings: cooking; travel training; swimming and social skills. That’s not the same as having a friend she can go out with, or share the latest interesting articles from her beloved New Idea and Women’s Day. Now, she might never have a friendship like this. But perhaps there’s a form of middle ground. Five months after she left school and as we still wait for her National Disability Insurance Scheme (NDIS) plan to be approved and delivered, I was contemplating all that the NDIS was spruiking, including “Buddy” programs. 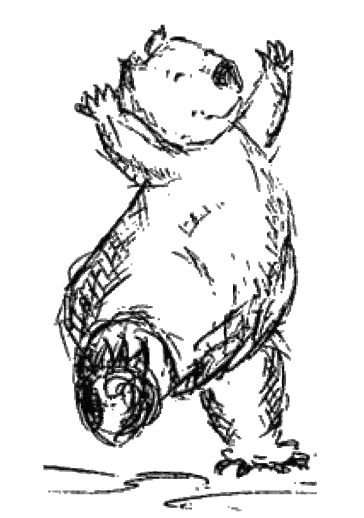 These enable people, young and old, to attend sporting events, bands, art exhibitions and so on. Imagine, we were told, what your child might be doing if they didn’t have a disability. What a “normal” child would do. 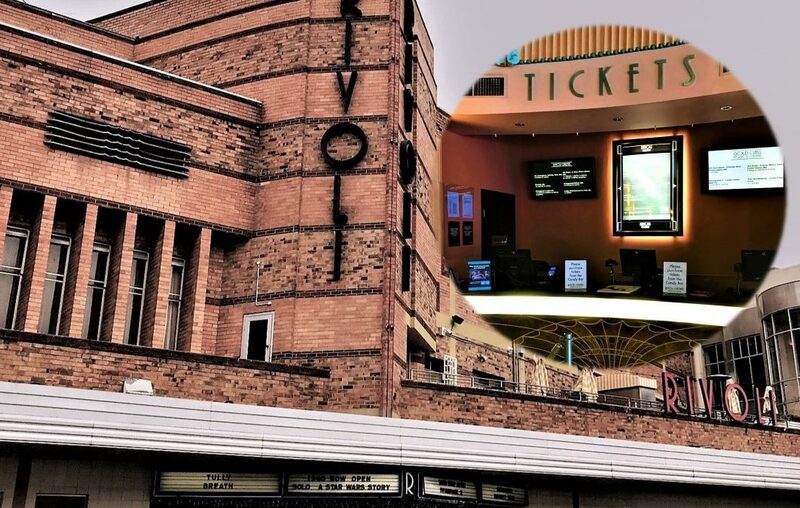 As my Year 9 lad headed off to the movies – again – with a mate, I had a brainwave. 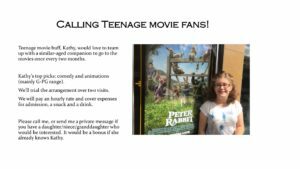 Why not try and find a movie buddy for my daughter? While she could and had gone to movies with her special needs peers, there were still adults in charge of buying the tickets, helping with food orders, checking toileting. And who knew if they discussed the movie afterwards with their charges? No, it needed to be a friend outside her special needs peer group. What I needed was what (a long time ago, admittedly!) we once knew as a “ladies’ companion”. A companion around my daughter’s age who could help her become more independent, while having a way more cool experience than going to the movies with her mum. “What would you think…” I began, as I outlined my plan to my daughter. She grinned, and gave me the thumbs up. “Good!” she replied. So, with my daughter’s blessing and my husband’s approval, I set out to craft an appropriate ad. The ad. This is serious stuff. Crafting this took much thought, redrafting and time. You have to get the ‘pitch’ right. This is where Facebook is a force for good. Who knew when NDIS funding would come through, and whether we’d even be able to do something like this under our plan? Through Facebook, I could act now. What’s more, the platform gave me a good chance of targeting the right people. I had friends with daughters the same age as my own, who’d been involved with her at church when they were younger. And other friends whose daughters were at primary school with her. With my sister’s help and excellent editorial suggestions, I wrote the ad, took a deep breath, posted it, sat back and waited. To my great delight, one of my old church friends reached out, saying that her daughter would be interested. How wonderful! We exchanged FB messages, texts and then arranged to meet (I, my friend and her daughter) for a chat and talk about what I hoped for. It had been some years since I’d seen my friend’s daughter, and she has grown into a lovely, young lady. With her driver’s licence! She was excited about the prospect of being a movie buddy, and through her wider family, has had close dealings with a special needs relative. Could it be more perfect? Yes, actually! She firmly declined to be paid for her time. We planned to meet in a week, with my daughter, for afternoon tea at her favourite café as a “getting to know you” session before the first movie date. This went well. Meeting over food provides both a distraction and an opportunity to observe people while they’re relaxed. In our case, this meant my friend and her daughter could see the effort required in getting my daughter to answer questions and the way she looks to me for answers. It also meant observing that she has a lot she can talk about, if she’s given some structured questions and if her companion is prepared to dig a little for answers. 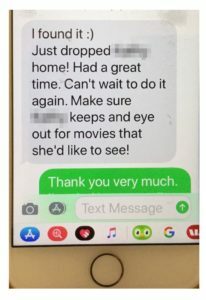 Over the course of the next week, three-way text messages were exchanged between the two girls and me, and a movie date was set. My husband saw the girls off, having loaded up ours with cash for the tickets and outrageously priced cinema popcorn and drinks! Feedback after the event – really positive! We’re looking to the next movie. Everything seemed to go beautifully. We hope to have a repeat visit – either to the cinema, or to my friend’s house for a DVD and home-made popcorn! I’m a great believer in the positive power of peer relationships, and I know that my daughter was really chuffed by the idea of going out without me. The day before, she had said to me, “I’m going to the movies by myself tomorrow?” No, I’d told her. You’re going with someone else. “But you’re not coming?” she clarified. And that brief word, uttered so often by my enigmatic, infuriating, fabulous daughter really encapsulated it all. It was good. Her self-esteem was boosted by going out with someone her own age, being independent and – significantly – enjoying that independence, and hopefully, the beginnings of a new relationship. What could be more normal for a couple of teenage girls than going to see a movie on the weekend? Apart from maybe doing their nails together, discussing guys, listening to music, going clothes shopping, doing community work…well, I think you get the idea. Doing things with others is something many of us take for granted. But for people living with a disability, isolation is a daily reality. For those with an intellectual disability, isolation can be more profound. There are many wonderful families and carers in our community looking after cherished family and neighbours with intellectual disabilities. There are public and private programs with carers dedicated to their well-being. However, being around people is not the same as being with people. Just “doing stuff” that cumulatively helps combat isolation, create relationships and extend experiences doesn’t “just” happen. Not even something as ordinary as going to a movie. Activities need to be intentional, planned, followed through and followed up. Friends help bring us out of the burrows where we can so often remain isolated. Friends can’t always be there, but planned companionship – if people are shown how, expectations are clear and there is compatibility – can also be powerful. Think of what you can do for your friends and broader acquaintanceship circle. I’m off to peruse the movie guide. Until next time, Happy Wombatting!